adidas’s marketing pitch: Shoes with a lower midsole drop and energy-returning cushioning. Upper: One piece knit mesh, synthetic suede, fused Urethane. Midsole: Full-length Boost foam. 8 mm heel to toe drop. Outsole: Single piece of hard Carbon (non-Continental) rubber. The PureBoost DPR can (finally) be used as a running shoe, but know that there are better alternatives which can be bought for less. Fits true to size. Ever since the adidas PureBoost made its debut, it has put on the pretense of being a running shoe without actually being one. The first 2014 version was the gold standard for bad running shoe design; the shoe was slippery, the ride unstable and the upper was uncomfortable. 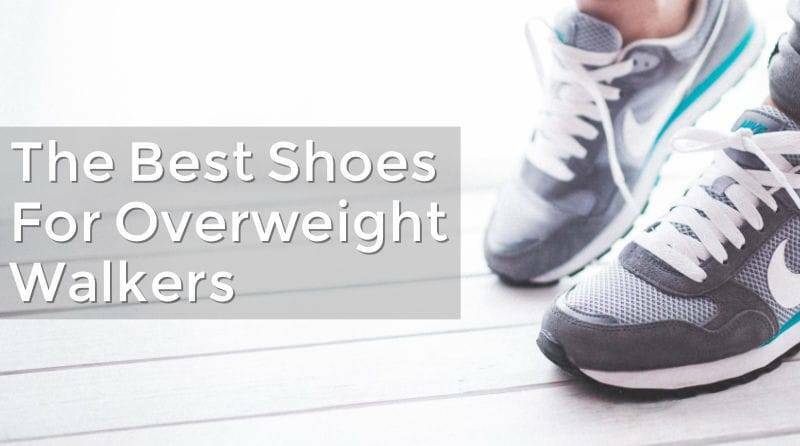 Subsequent versions like the PureBoost ZG Prime and the PureBoost 2017 were better shoes but yet below the exacting standards of performance running footwear. 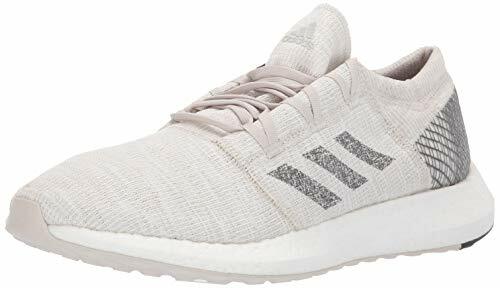 All PureBoost models have had an unmistakable lifestyle/casual sneaker orientation, though adidas has consistently (and unapologetically) positioned them as running shoes. The DPR is the second PureBoost model to be released in 2017. 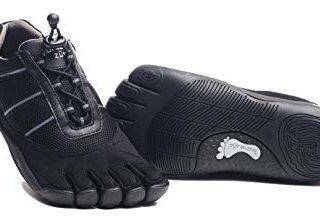 The first one was simply called the PureBoost 2017; it had an inconvenient ‘Burrito’ tongue which struggled to lie flat over the foot. The DPR borrows a few elements from its namesake model – like the external heel side pods for example – while introducing a lower profile midsole and a more minimal upper design. While we’ll cover the various design elements of the DPR and its pros and cons today, the question is – can the latter be used as a performance running shoe? Hey, hold on. We never said that the PureBoost DPR was a bad shoe. 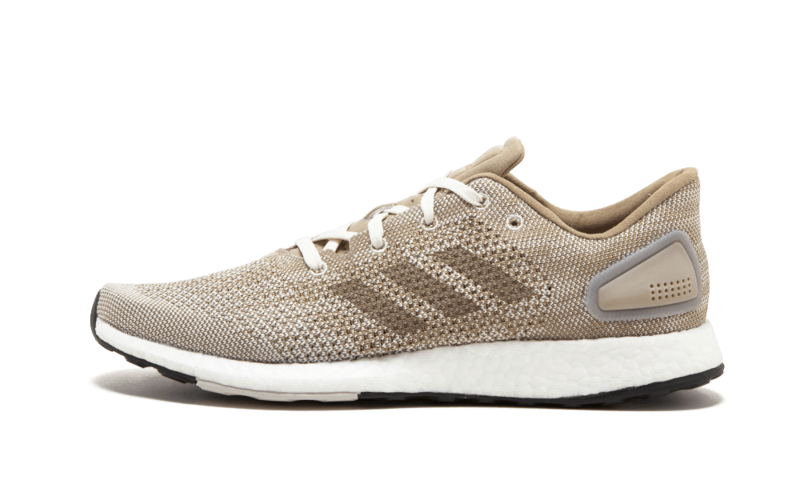 It might have undesirable historical baggage in the form of the earlier PureBoost models, but the DPR is much closer to a real running shoe. But it still lacks certain ingredients which elevate an average shoe to greatness. One of the DPR’s drawbacks is its $150 MSRP, which is a huge let-down. Why pay so much when you can get better, full-length Boost and Continental rubber equipped running shoes for less? Then there’s the matter of running shoe design best practices, an area where the PureBoost DPR comes up short. At best, the DPR is a shoe suitable for mild runs, and it could also be a dual-purpose shoe for business travelers. But a ‘racer’ this model is certainly not, contrary to what the letter R in the ‘DPR’ suggests. Wondered what ‘DPR’ in the shoe name stands for? It’s an abbreviation for ‘Deconstructed Pure Racer.’ Calling it so is a bit of stretch, which by the way, the DPR’s knit upper does not have. 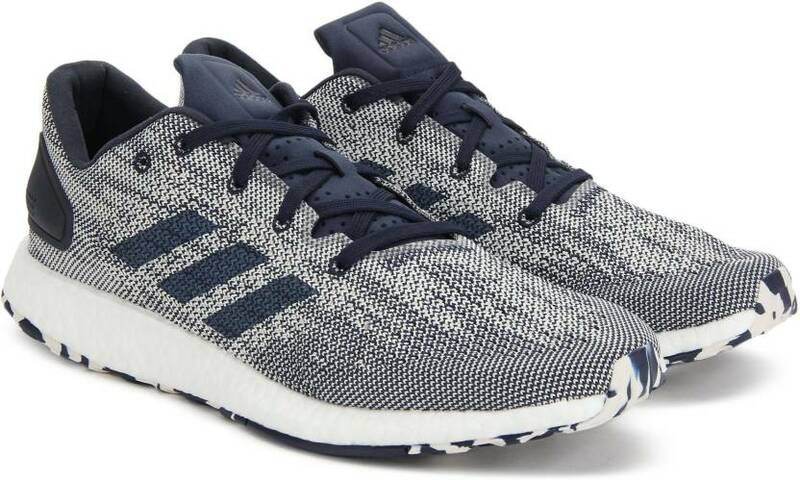 The knit fabric has a fit and feel similar to the adidas’s adizero Primeknit 4.0 or the Ultra Boost ST. And if you’re not familiar with these shoes, then the DPR’s knit upper can also be compared to the fabric used on Nike’s original Flyknit Racer, or more recently, the Flyknit Lunar 3. It’s a single-piece construction without internal lining, with plenty of pores for ventilation. The interiors are not entirely unsupported, though. The insides of the midfoot have these fused bands of soft synthetic giving the shoe its shape. In the front, there’s an internal toe-bumper. Even the heel has a thin internal stiffener lending it some structure. One might question the need for an internal counter when there are two ‘pods’ on the outside, but then that’s perhaps the reason why the counter exists. Without it, the plastic pods could weigh the upper down. These pieces of urethane are fused on either side of the heel. If you’re familiar with the PureBoost 2017, then you’ll recognize these pods. Though the design looks similar, the ones of the DPR are made of rigid plastic instead of the soft rubberized version of the PB 2017. The term ‘deconstructed’ (or Decon for short) is often used in the sneaker world. Shoes which have this suffix usually implies a design which uses minimal layering or processing. For example, a Decon shoe could have a raw-edged heel collar without foam padding. 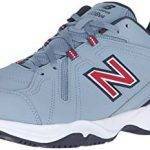 The same shoe could have a one-piece leather upper without embossing or lining, and the lacing eyelets could simply be holes punched into eyestay. You get the general idea. Given that context, the PureBoost DPR isn’t a deconstructed shoe in a true sense. The tongue is thick and made of stiff synthetic suede with the adidas logo embossed on top. The heel lining is made of the same material, and there’s some padding inside. There’s no sleeve inside, and the thick tongue is only attached to the front. As a consequence, tongue slide happens plenty on the DPR. The PureBoost DPR has only four primary lacing rows plus one reserve for heel lock lacing, and this is a nod to the shoe’s lifestyle orientation. While the thin, flat laces pass effortlessly through the embroidered eyelets, they don’t provide the lockdown required of a performance product. This lacing arrangement also applies a higher level of top-down pressure compared to regular running shoes, and this isn’t a compliment. Also, these laces aren’t the cottony types found on performance racers, but a smooth kind which doesn’t cinch as well as the ones with a cotton texture. The DPR is very well ventilated. The knit mesh has plenty of forefoot and midfoot pores, and this allows plenty of air circulation. There isn’t much external layering which gets in the way, except for the heel pods and a small area of transparent lamination over the lacing area. As the name implies, the midsole is made of ‘pure’ Boost foam, adidas’s cushioning tech. Nothing but Boost separates the upper and the outsole, with only the insole and the latticed window above it. The DPR does not have the hard EVA rim or layer often seen on adidas performance running footwear. This way, the foot has easier access to the Boost material. Historically, some PureBoost models have featured only the perforated (windowed) lasting material below the foot, and nothing else. The original PureBoost had this design, and so did the PureBoost 2017. The DPR features the latticed lasting sheet exposing sections of the Boost midsole, but that is also topped by a molded insole – just like the Prime ZG. The outsole is a single piece of hard rubber in a ‘Stretchweb’ layout, a design similar to the type used on performance running shoes. That said, the rubber is neither Continental nor adiwear, which is puzzling considering the not-so-affordable $150 retail price. There’s no Torsion shank underneath, just a small extension of the rubber outsole under the inner midfoot. This again, is borrowed from the PB 2017 which had a much larger area of the outsole extending over the medial midsole. Discerning users will note that the PB DPR has a ‘bottom heavy’ construction. Most of the weight is concentrated in the lower regions due to the full-length Polyurethane midsole and the rubber outsole. If you look past that, then the PureBoost DPR is actually lightweight. 9-ounces is pretty decent for a shoe with so much midsole and outsole material. adidas and Nike have their rubber compound formulation down pat. So despite the lack of a Continental badge, the outsole will last longer than most shoes do. The Boost compound is bulletproof and highly resistant to deformation fatigue, so the midsole is the least of your worries. Past Boost models used to have an open window under the heel which led to the Boost foam getting damaged on footstrike, but the recent Stretchweb outsole (also used on the DPR) with its full coverage design has put an end to that. We can’t point out any construction flaws on the upper, and it should outlast the midsole and outsole. 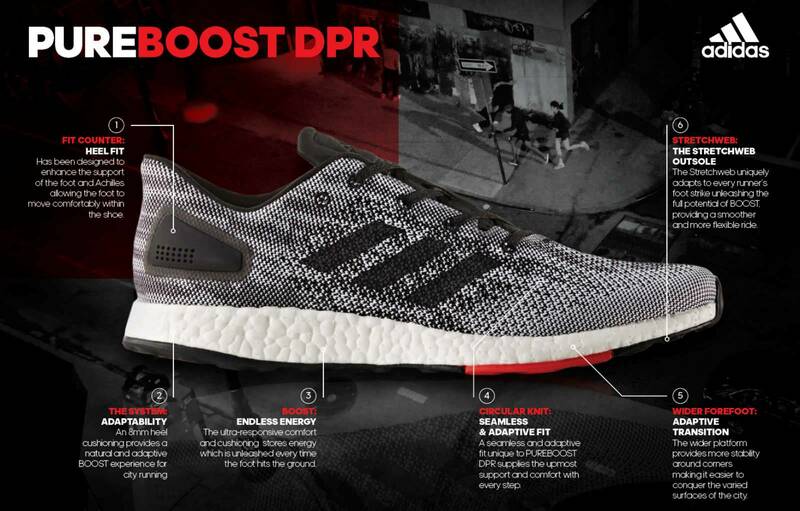 The PureBoost DPR’s actual fit character belies its sleek exteriors. Based on looks alone, one might assume the DPR to have a cramped toe-box and forefoot. That’s not the case at all. While the toe-box is structurally shallow with barely any space over the big-toe, the upper doesn’t feel shallow. There’s a good reason – the mesh isn’t super-elastic like the Ultra Boost, so the upper doesn’t pin your foot down. Instead, the mesh has an accommodating nature – not because of inherent stretch in the material, but due to the interlocked knit structure which allows marginal expansion. This openness applies to the forefoot too, where the sideways fit feels noticeably more relaxed than most adidas shoes. If the forefoot feels snug initially, fret not – the shoe will eventually adjust to the foot shape. The mesh is also very breathable, as the open pores allow plenty of air to pass through. The lacing is asymmetrical/skewed, and this relieves some pressure over the forefoot. At the rear, the heel does not have much padding, so the foot’s position is moved slightly rearwards – thus increasing the margin in the front. But there are no additional widths, as is the case with (even) performance adidas running shoes. When it comes to lengthwise sizing, buy the PureBoost DPR true to size. The relaxed nature of the interior space extends all the way to the heel. The midfoot has only four lacing rows with no inner sleeve, so the lacing cinch doesn’t feel as secure as it should be. Fewer lacing rows also equates to a greater top-down pressure. Although the tongue is thick, it has no padding and the laces can be felt over the foot. The tongue has a few design flaws. Firstly, the absence of a sleeve makes it slide – the flap is long, so the movement of the foot’s instep area pushes it sideways. Secondly, the tongue tends to fold over the foot when in motion. The tongue material being what it is, a break-in period is required for the stiffness to abate. Heel grip is average, which isn’t surprising considering how thinly padded it is. 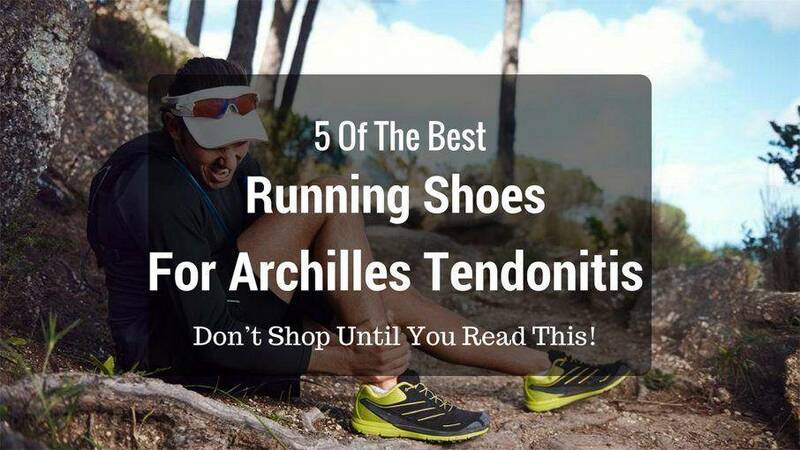 The Achilles also curves outwards, so that doesn’t help either. Although there are a few parts we like about the PureBoost DPR’s fit, the overall lockdown isn’t great. 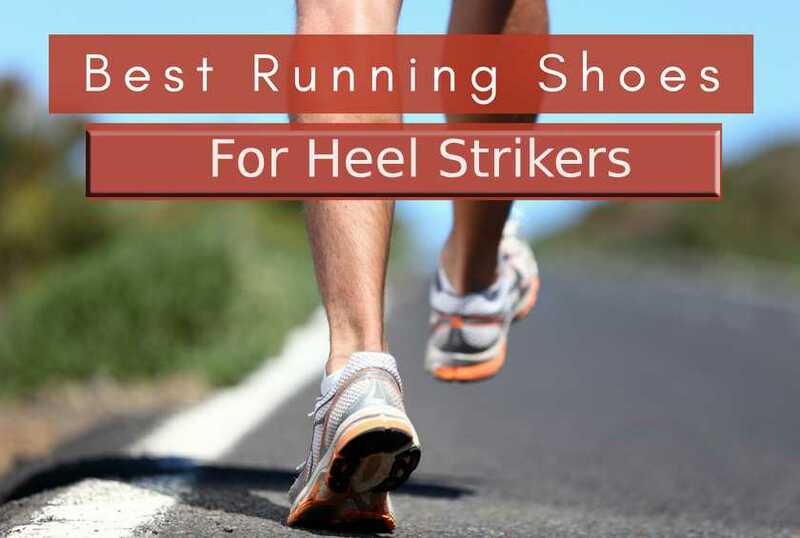 The midfoot and heel could have a better hold, and this is of particular concern when running downhill or similar steep gradients – this might lead to your foot sliding inside the shoe. 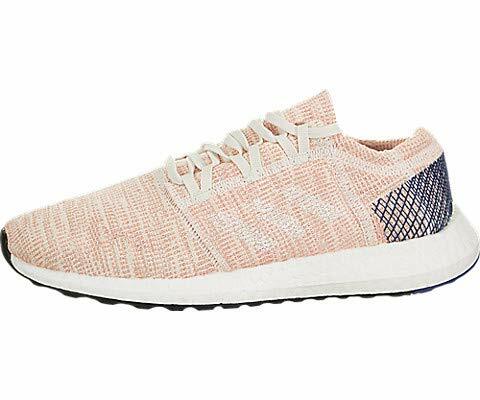 The midsole and outsole update explains why the PureBoost DPR is a significant improvement over the earlier PureBoost models The midsole stack is lower, and the outsole uses hard rubber in a full coverage layout. This bodes well for the ride quality, as the lower stack promotes a higher level of stability which was earlier missing in Pureboosts and the lifestyle UltraBoost. The outsole, while not of a Continental variety, grips well and also serves as a stable foundation. The extension of the outsole over the inner midsole also adds a little bit of support, and so does the forefoot Boost which flares outwards to create a wide base. Mind you; we’re comparing the DPR to earlier PB’s from a stability standpoint. When compared to shoes from the performance line – say the Boston 6 – the DPR will rank lower. Speaking of which, ‘a spineless Boston 6’ is a good way to describe the Pureboost DPR. And why? The DPR and the Boston have a similar amount of Boost available to tap into, but that’s where the similarity ends. There’s no plastic shank below, nor there is a firmer EVA rim on top – only the insole and the perforated sheet. Hence, the transitions feel slower due to the lack of firmness – both in the upper and lower areas. So we do not recommend using the DPR as a ‘racer.’ There are far better shoes for that. Cushioned the DPR is, which is expected of a midsole stack comprising of the molded insole and a full-length midsole. All the same, the cushioning and responsiveness feel is very localized instead of being distributed. In the absence of a firmer upper layer, a smaller section of the Boost gets displaced upon weight loading. The foot tends to focus the foam compression on a smaller section, in contrast to a firmer top layer design which causes a greater volume of Boost to be displaced. adidas enthusiastically markets the ‘lower heel drop’ of the DPR, perhaps a feeble attempt to establish the new PureBoost as a performance shoe. Well, 8 mm isn’t exactly low drop – only so when you compare it to other adidas models with 10-12 mm offsets. Though to the DPR’s credit, the actual (loaded) drop should be lower than the static 8 mm, as the perforated lasting allows the foot to sink further into the Boost midsole. If you’ve been a customer of the past PureBoost models, then we’d like to point out a few differences. Given the lower stack, the DPR is firmer than both the original Pureboost, the PB Prime ZG, and the PB 2017. Nonetheless, the upper midsole feels more cushioned due to the presence of the insole. One of the things we hated about the original PB was the soft outsole allowing pressure applied by small rocks and the like to pass through. The DPR’s hardened outsole provides far better protection from the imperfections on the road. The rubber grips better too. 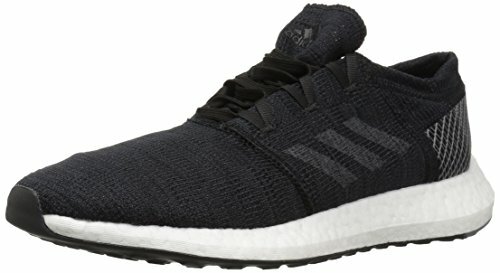 So what is the PureBoost DPR good for, considering that it now bears a greater resemblance to performance running shoes? Like we said in the preface, this new PB is suitable for mild and short runs. Going too fast feels a chore due to the lack of stiffness, and running too long will not be very enjoyable – the stiff tongue and heel lining materials can get in the way. As expected of a Boost powered shoe, the DPR has consistent cushioning available in spades. Despite the lower stack, the foot has closer access to the Boost material due to the perforated lasting. Stability is improved when compared to the earlier Pureboost models, and the durable outsole grips the way it should. The upper is breezy and has a relaxed fit which will come as a pleasant surprise to adidas loyalists. 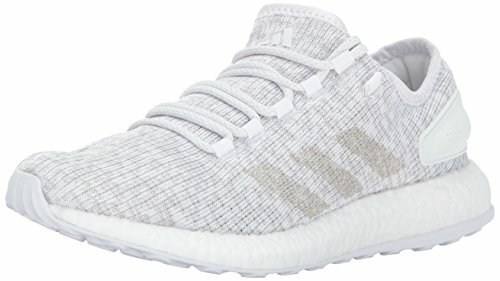 On the flip side, the Pureboost DPR isn’t great value at all. Even after paying $150, you receive neither a Continental outsole nor a proper Primeknit upper. The DPR seems like a budget execution, but the price doesn’t suggest that. It is evident that sneaker heads are getting shortchanged with the DPR not only from a material package standpoint, but functionally too. What extra material advantage does the DPR have over the Boston 6, the cheaper Supernova or even the Energy Boost? One could argue that the DPR has a different fit and ride character, but that has little to do with justifying the $150 MSRP. That said, we’d have a different opinion if the DPR were priced at $120. Though the DPR is positioned as a city running shoe, there’s (ironically) no reflectivity. The transitions are sluggish compared to the DPR’s performance running counterparts, and the upper lockdown isn’t perfect either. The tongue is stiff and tends to slide around inconveniently. The PureBoost DPR is very comfortable, but is it a very good running shoe? Not in our opinion. There’s a lot of work needed before the Pureboost DPR can earn its place on the front row seats occupied by the Boston 6 or the adios 3. As a regular runner, should you get the DPR? No, you’re better served by cheaper models such as the Boston and the adios – or the Tempo if you require additional support. 1. You religiously follow heel drop specs. In that case, the DPR’s 8 mm gradient is lower than most adidas shoes. 2. You found the PB Prime ZG or the PB 2017 too soft, and you want something firmer and more supportive without switching to pure-performance shoes. 3. 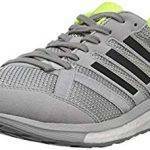 You want an adidas shoe which has a wide and ventilated fit without the plastic cage or similar suffocating features. 4. You’re ok with limiting the Pureboost DPR to mild runs, and the $150 price is the least of your concerns. The PureBoost DPR isn’t a bad shoe at all, but choose your running shoe wisely – don’t have buyer’s remorse. Keep up the pace with the undeniable style and lightweight performance of the adidas® Pureboost running shoe!